Sleeveless dress and long sleeve cardigan. Super soft interlock cotton material. ATTENTION: DO NOT buy from other FAKE sellers without authorization, they will take your money and ship you nothing or a cheap material item. Please confirm the merchant Information is "Greatop" before purchase. 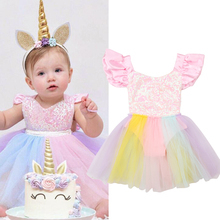 We can ONLY guarantee the quality of the dress order from seller "Greatop". Made of cotton, lace and polyester, lightweight and comfortable. Full cotton lining with the baby's comfort in mind, every stitch is handmade with love. 5 sizes available, 3M fits for 0-6 Months, 6M fits for 6-12 Months, 12M fits for 12-15 Months, 18M fits for 15-18 Months, 24M fits for 18-24 Months. Flower lace embroidery to make the dress noble and special, knee length. 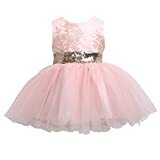 Great for wedding party, christening, baptism, fairy princess party, birthday party, flower girls and any other special occasion. Come with 1 piece Dress + Bonnet(for Style 1), 1 piece Dress + Headband(for Style 2/Style 3). 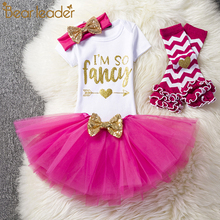 Perfect dress for new born baby to 2 years old. Hand wash and lay flat to dry. Soft and Comfortable, Quickly Dry and Breathable.. Style: Formal, Party, Casual, New in Fashion. Package included: 1 x Baby's romper+1 Headband. Kindly please check the size details and make sure it is the correct available address when you place the order..
Tag 5 for 6M, Tag 7 fo1T, Tag 9 for 2T, Tag 11 for 3T. Somewhat large, please choose one size smaller..
Material: Cotton and Mesh. Comfortable and soft..
Good cotton to protect the baby's soft skin.Make your baby so cute..
For spring autumn and winter..
For birthday, holiday and wedding party, or special occasion.. Somewhat large, please choose one size smaller. 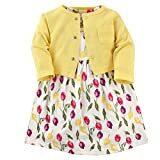 Size: Tag 5/6Months: Length 43cm/16.9", Bust 48cm/18.9", Shoulder 21cm/8.3" Tag 7/1T: Length 46cm/18.1", Bust 50cm/19.7", Shoulder 22cm/8.7" Tag 9/2T: Length 48cm/18.9", Bust 52cm/20.5", Shoulder 23cm/9.0" Tag 11/3T: Length 50cm/19.7", Bust 54cm/21.3", Shoulder 24cm/9.4" Please allow 1 inch error owing to manual measurement. Hand wash/machine wash with cold water. Two-piece dress for spring autumn and winter. Suitable for ages in children (0-10 Years old). Round neckline, sleeveless, beautiful bowknot, tulle layer design and pretty embroidered. Perfect for party, wedding, pageant, birthday or other special occasions. (The headband is not included).